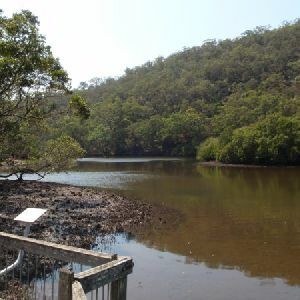 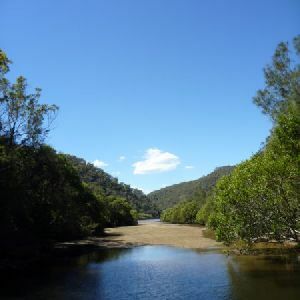 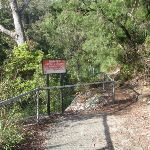 Turn left: From the Galston Gorge trackhead, this walk follows the ‘Crosslands’ sign up the timber steps, away from the road. 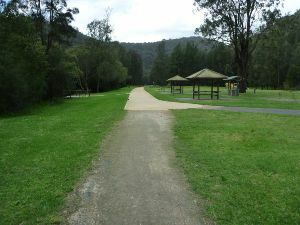 The track soon bends left then mostly flattens out as it winds along the side of the valley for almost 200m, where it passes above an old rusted car (some distance down the hill, to your left). Here the narrowing, rocky track winds down through a lovely grass tree and boulder forest for about 600m, coming to a small flat rock platform. 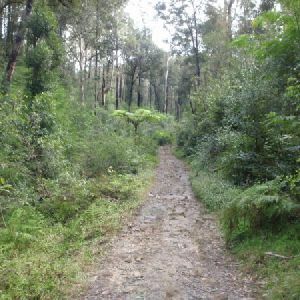 The walk then bends right (ignoring the steep track down to the left). 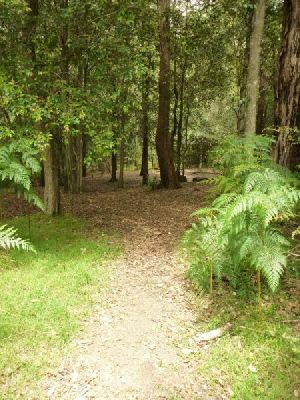 The track then leads among more grass trees for another 100m and crosses a mossy and rocky gully. 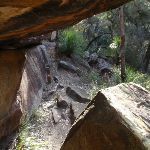 Once across this gully, the track begins to climb steeply, then up a steep set of steps (through a crack in the rock). 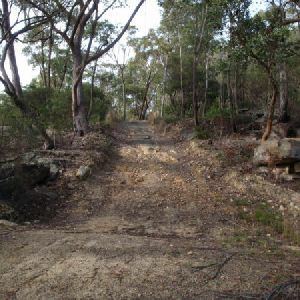 At the top of the steps, the track continues to climb for another 70m before mostly flattening out. 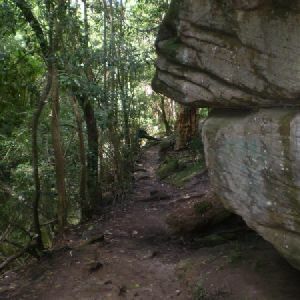 Soon the track starts to wind downhill, crossing a wider mossy gully with larger boulders and a small waterfall. 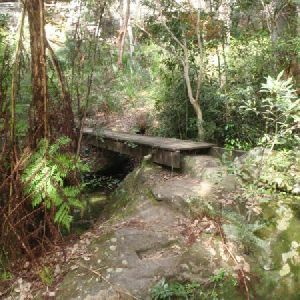 The gully is marked with a few GNW markers. 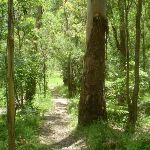 6km of this walk has short steep hills and another 6km has gentle hills with occasional steps. 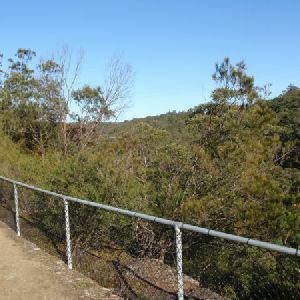 Whilst another 2.7km is very steep and the remaining 1.7km is flat with no steps. 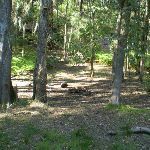 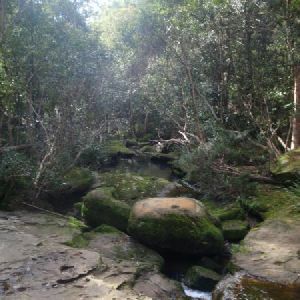 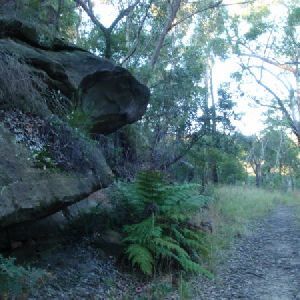 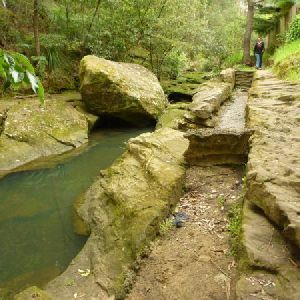 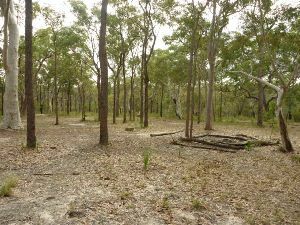 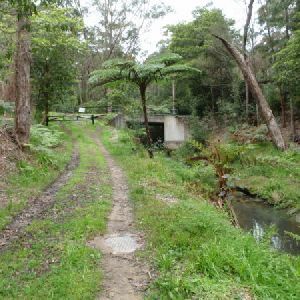 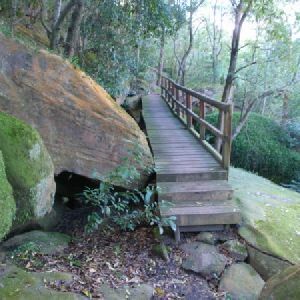 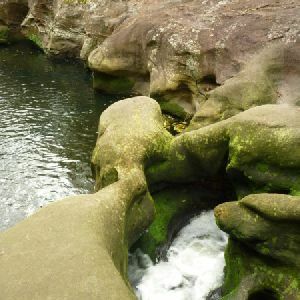 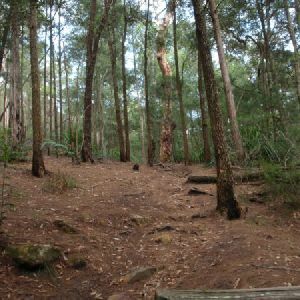 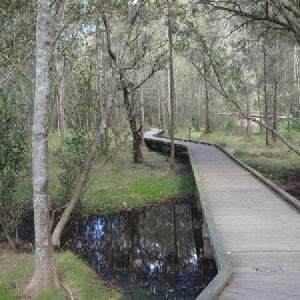 6km of this walk follows a clear and well formed track or trail and another 4.4km follows a formed track, with some branches and other obstacles. 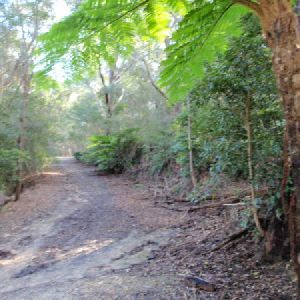 Whilst another 3.4km follows a rough track, where fallen trees and other obstacles are likely and the remaining 2.2km follows a smooth and hardened path. 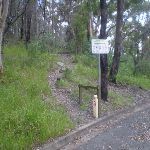 Around 10km of this walk has directional signs at most intersection, whilst the remaining 6km is clearly signposted. 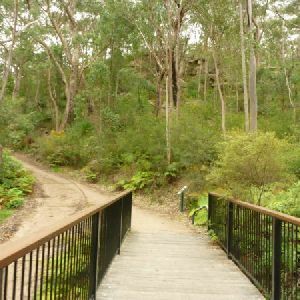 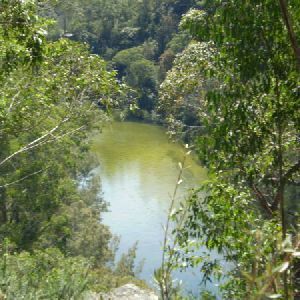 Around 8km of this walk requires no previous bushwalking experience, whilst the remaining 8km requires some bushwalking experience. 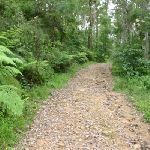 This whole walk, 16km is not usually affected by severe weather events (that would unexpectedly impact safety and navigation). 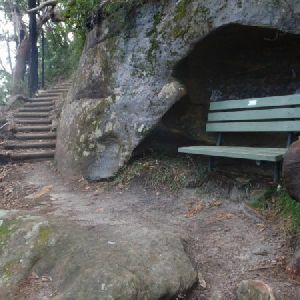 Around 8km of this walk is close to useful facilities (such as fenced cliffs and seats), whilst the remaining 8km has limited facilities (such as not all cliffs fenced). 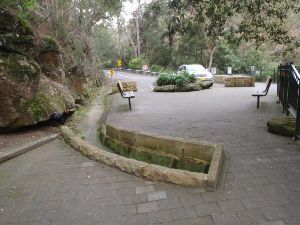 A list of walks that share part of the track with the Hornsby station to Crosslands walk. 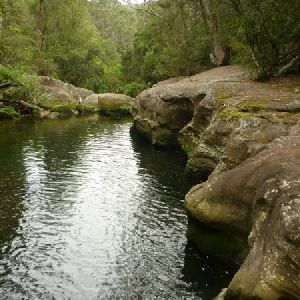 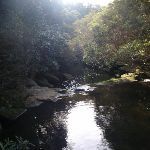 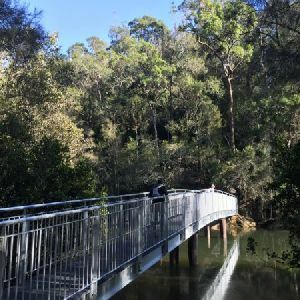 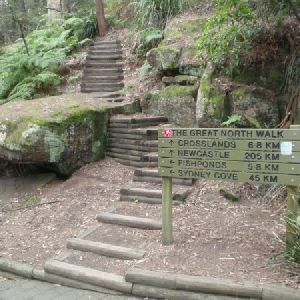 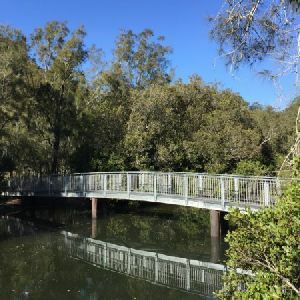 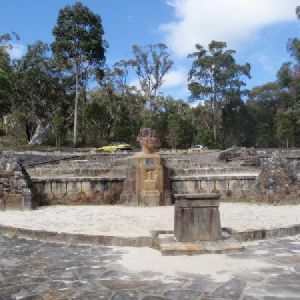 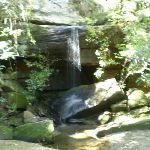 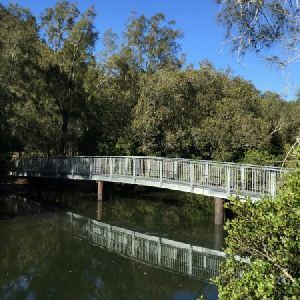 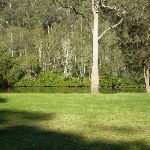 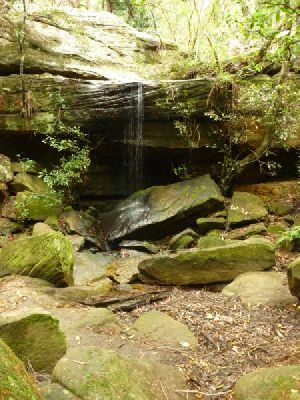 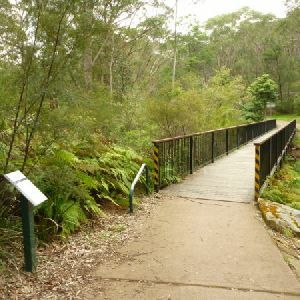 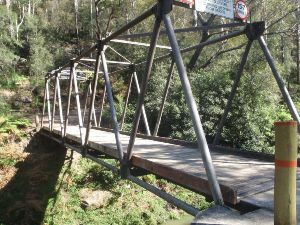 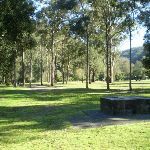 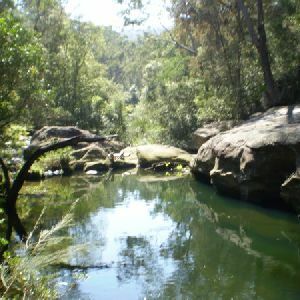 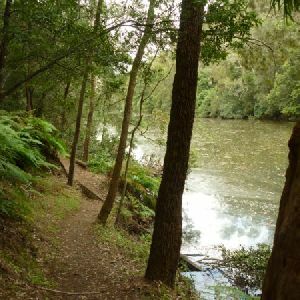 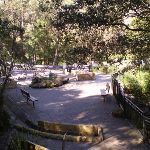 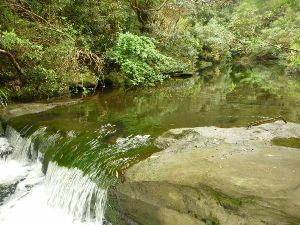 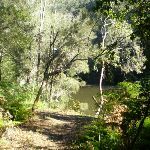 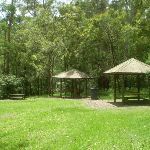 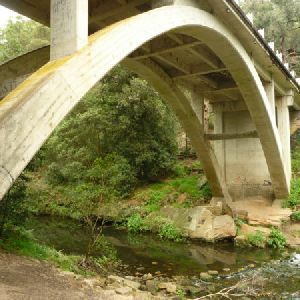 A list of walks that start near the Hornsby station to Crosslands walk. 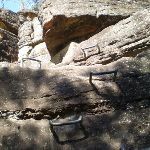 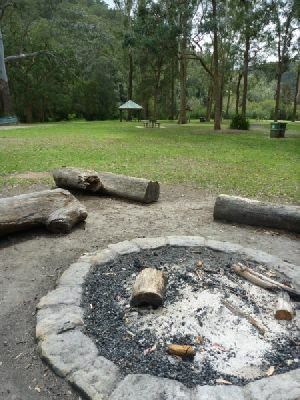 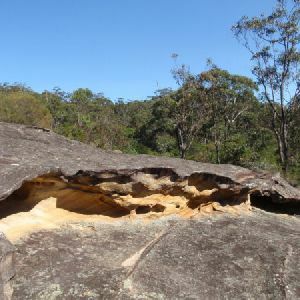 http://new.wildwalks.com/wildwalks_custom/includes/walk_fire_danger.php?walkid=nsw-bvrp-hstc Each park may have its own fire ban, this rating is only valid for today and is based on information from the RFS Please check the RFS Website for more information.